When Edith met a cheeky young lyrebird on her garden path, she could not guess that he would one day be known as A Miracle of the Dandenongs. Soon, James the lyrebird was singing and dancing for Edith, mimicking the birdsongs and other sounds that echoed through the bush. Word of their friendship spread and people travelled from near and far to film and record James. But with people came change ... 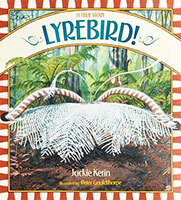 This true story, retold by Jackie Kerin and beautifully illustrated by Peter Gouldthorpe, celebrates a remarkable friendship between a gardener and one of Australias most extraordinary birds.